Every January, over three weekends, Niagara-on-the Lake, an hour from Toronto and 400 miles from New York, holds its Ice Wine Festival. Kevin Pilley reports. The asparagus and brie wonton tartlets circulated. Feet stomped. Breaths smoked. Teeth chattered. Noses became rosed. The snow fell, the Eiswein frothed and the marshmallows toasted over open fires. If you haven’t drunk high-quality, multi-layered wine in thick gloves, an all-elements-protecting SprayWay fleece-lined Tundra storm jacket, thermal underwear and a woolly anti-hypothermic Canadian-made ‘Tilley’ Chapeau du Liege hat, you haven’t had the full extreme epicurean oenological, multi-layered experience. 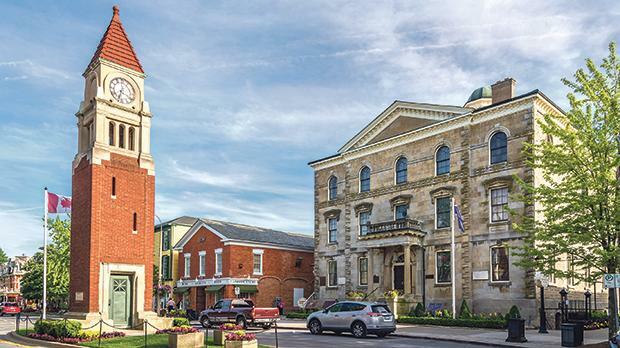 Every January (January 11-27, 2019), over three weekends, Niagara-on-the Lake, an hour from Toronto and 400 miles from New York, holds its Ice Wine Festival. 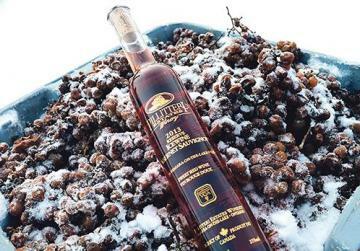 Canada makes 70 per cent of the world’s ice wine. Thirty-five Ontario state wine growers man the revival stations and provide the ripe quince, baked apple and tart grapefruit bouquets. The climate provides the cryogenic suspension. The growers include Megalomaniac, Coyote Run and Karl Kaiser and Donald Zaraldo’s Inniskillin, which first made ice wine on its Brae Burn estate in 1984. The Romans discovered ice wine accidentally, noticing grapes left to rot for livestock winter fodder made good sweet wine if picked and pressed when frozen solid. 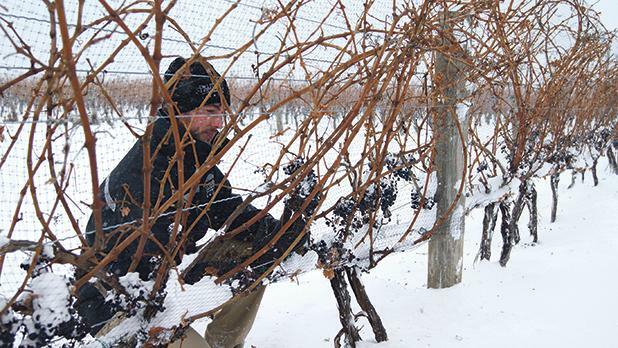 Ice wine is labour-intensive and expensive. 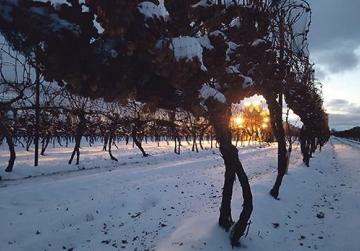 Germany probably made the first commercial ice wine in the late 18th century. Luxembourg has a ‘vin de glace’. Japan’s Furano winery in central Hokkaido produces ice wine. New York State, Michigan, Pennsylvania and Ohio do too. But Canada is the hub and Niagara the H.Q. Grapes must be picked at no less than -8 degrees Celsius (17 degrees Fahrenheit). Sugar level must be no less than 35 Brix. Ice wine can be made from Riesling and red Cabernet France although the Vidal grape is most common. This French hybrid was originally developed for cognac production. Pilliterri Estates makes superb Cabernet Sauvignon and Blanc ice wines and Jackson Triggs a delicious Guwurztraminer one. On your ice wine crawl around the only wine route best appreciated in the snow, wrapped up in your winter-hardy salopettes and hydrophobic Nubeck leather Obox B-Dry hiking boots, you have tutored tastings with producers who offer food pairings like scallops, candied salmon, double chocolate macaroons, Quebec blue Elizabeth cheese and sweet potato brulee! 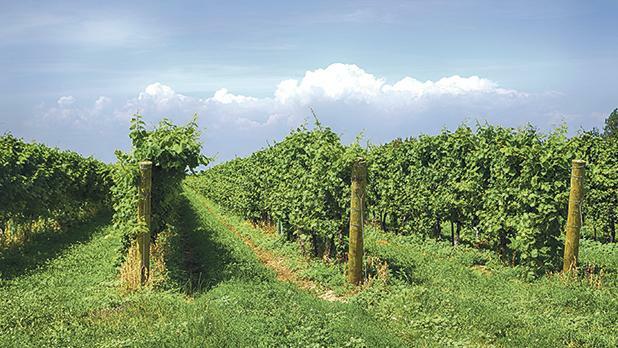 Vines grown at the Pilliterri Wine Estates in Niagara-on-the-Lake (also top right). Ice wine seems to go with everything. It’s not just a dessert wine and recommended with sushi and spicy food. Red ice wine goes well with dark chocolate. The most unusual suggested to me was a wine complimenting cobblers. At the Niagara Ice Wine Festival a $40 Discovery Pass allows you to visit the barrel cellars of eight wineries and taste, sometimes in the fog among frosty vineyards, at places like 13th Street and Reif, Peller and Konzlemann estates. As well as the Megalomaniac winery, which began as a retirement fundraising project for a children’s charity. Owner John Howard refused to have his wine named after him. Megalomaniac produces ‘Local Squeeze’ Riesling and ‘Bigmouth’ Merlot. The ‘Selfie’ and ‘Narcissist’ are also on its list. By the end of it all, having learned all about sweet and savoury synergies and how to survive prolonged exposure to warm hospitality from people who know how to control their fruitiness and, having been educated into appreciating fine wine with no feeling in your fingers (let others pour), your face takes on the colour of the iconic and unique local produce – pale yellow at first, light gold next and then maderise or deep amber golden. And very often burgundy.